We've barely said "goodbye" to Halloween, and we're already looking forward to Thanksgiving. 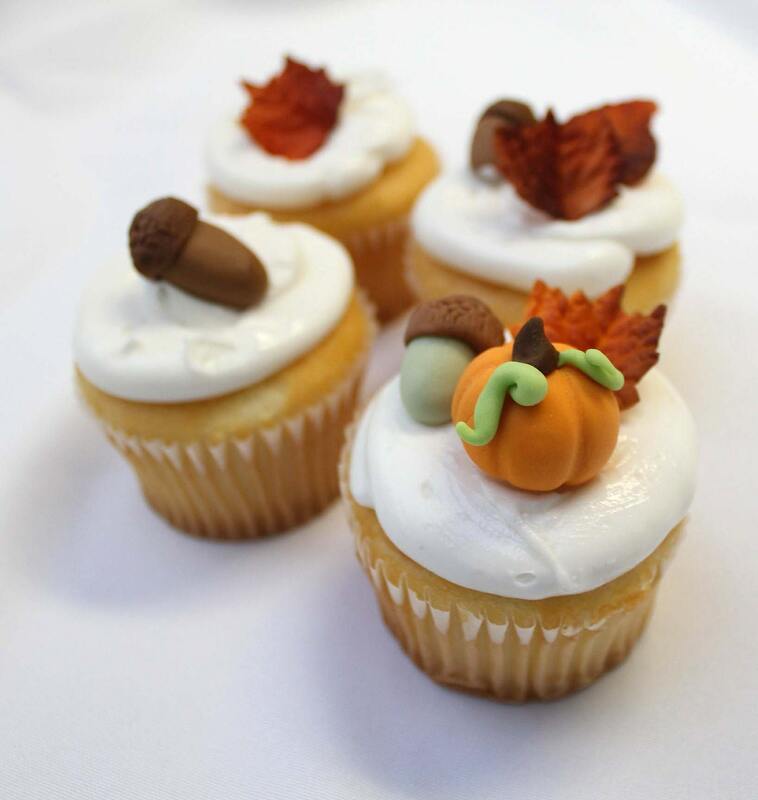 I was cruising Etsy today and came across these edible fall-inspired cupcake toppers by Modern Luxe Events. 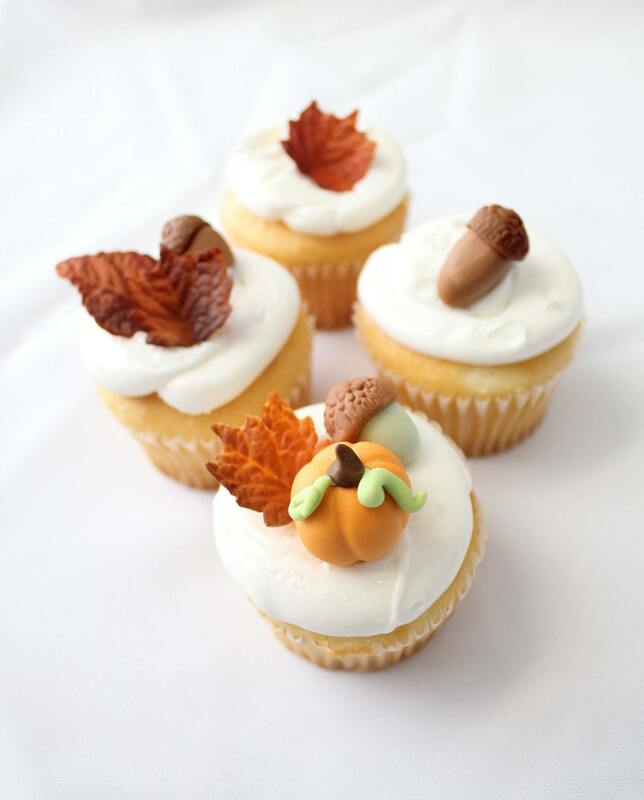 A collection of leaves and acorns make even the plainest cupcakes autumnally smart. You could also use leaf and acorn craft punches to create your own (non-edible) Fall toppers. what a lovely cupcakes! so sweet! These are quite lovely. would be great on a cake or a tart too! this is an adorable idea, i am going to have to try this.